Anne Frank's iconic diary, written while the Jewish girl and her family were in hiding from the Nazis, was made freely available online despite threats of legal action over copyright. The Anne Frank Foundation, founded by Anne's father Otto Frank, is threatening to sue University of Nantes lecturer Olivier Ertzscheid and French parliament member Isabelle Attard for posting Frank's diary online. The uploaders argue that under European law, copyright on written works expire 70 years after the author’s death, and Frank died at the Bergen-Belsen concentration camp in 1945. 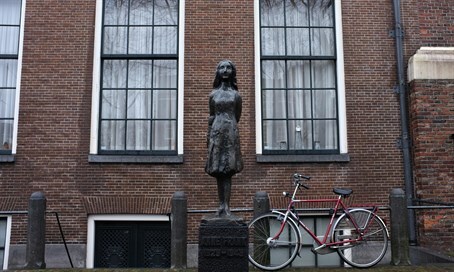 However, the Anne Frank Fund argues that Otto Frank, the only member of the family to survive the Holocaust, still holds rights over the famous diary since he made significant changes to the manuscript. They argued that because he only died in 1980, that copyright still holds. Moreover, Kugelmann claims that the final version of the journal was published for the first time by the Dutch State Institute for War Documentation in 1986, and under Dutch copyright law, a work first published before 1995 remains protected for 50 years after the initial publication. However, the journal publishers were unfazed, arguing that editors aren't co-authors and that putting the work in public domain would only make the writer more known and give the public more knowledge.